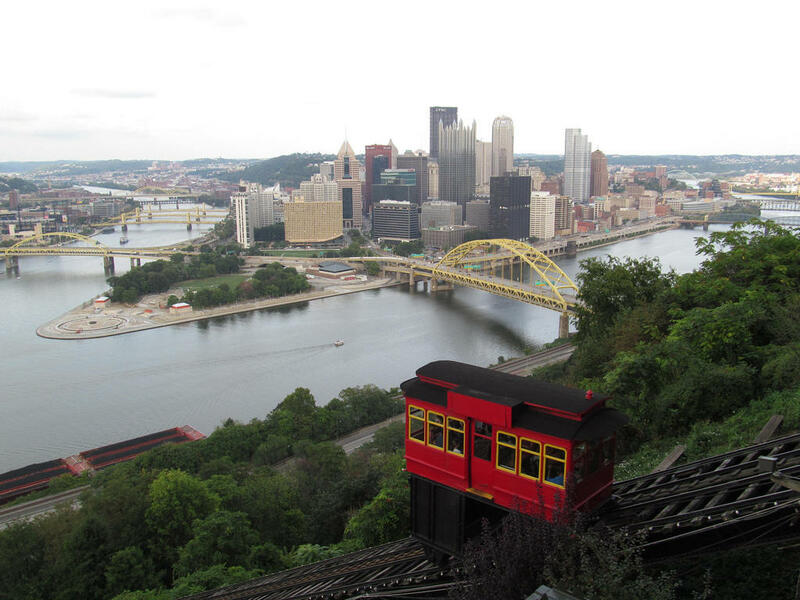 Riding the Duquesne Incline is just one of many ways to spend a Saturday morning in Pittsburgh. Whether you are hosting out-of-towners or you are new to the city yourself, Saturday morning activities can be difficult to find if you do not have an established routine. Here’s a list to help you get out of bed and plug that hole in your schedule. Sunrise on the Incline: Now more than a century old, the Duquesne Incline has offered an unrivaled lookout point over the Pittsburgh cityscape since 1877. The cable car starts running at 5:30 a.m., giving you plenty of time to catch the sun clearing up over the horizon. After the short ride up, there are plenty of opportunities for fine dining on Grandview Avenue (running past the upper station) or at the nearby Station Square (down the street from the lower station). The Saturday Light Brigade: Setting up shop in the Children’s Museum of Pittsburgh, the Saturday Light Brigade is a local radio show that blends acoustic music, live performances, puzzles and on-air interviews. A uniquely Saturday morning experience — the show only airs from 6 a.m. to noon on Saturdays — the family-friendly show aims to foster participation with its audience and allows museum visitors to view and take part in its live broadcasts. Whether you come in and join the show or sit back and listen from home, the SLB program offers a great start for a Saturday. Breakfast and Shopping in the Strip District: The Strip District comes alive on Saturday mornings. Start off with breakfast at Pamela’s or Deluca’s — both Pittsburgh mainstays, and both unspeakably delicious — and follow up the meal with a simple walk through the neighborhood. Sidewalk vendors, offbeat small businesses and mountains of fresh food are enough to keep you occupied for hours. Themed Hikes from Venture Outdoors: If you like to start your morning at a little bit of a faster pace, Saturday is the prime time for various group hikes put on by the folks at Venture Outdoors. The hikes are not weekly and the theme for each hike can vary. Some weekends feature a waterfall hike, a summer wine tasting hike or a ‘Burgh bees walk. The eclectic smattering of outdoor activities might not always be consistent, but depending on your tastes (or depending on if you are in the mood for a morning whiskey tasting) these hikes have a lot to offer. Disk Golf at Schenley Park: Schenley Park in Oakland has a lot to offer to the Saturday morning crowd. A simple walk through the park is perfectly appropriate for a warm summer morning. For those in search of a little bit more activity, the park offers an 18-hole disc golf course, stretching across the expanse of the park and weaving its way through Schenley’s wooded areas. Bring a group of friends along with you and enjoy a pleasant diversion from the sounds of the city. Summer Flower Show at Phipps: Open from 9:30 a.m. until 5 p.m., Phipps Conservatory functions as a museum for the naturally-inclined. Visitors can take a nice, leisurely stroll through greenhouses and gardens filled with flowers from around the globe. For a special exhibition, Phipps is currently hosting a “Glass in the Gardens” show, featuring, among other installations, a glass wooly mammoth skeleton surrounded by a lush, pre-historic looking garden. Both laid back and educational, Phipps can provide a nice wake-up aroma to start off the day. Are you a Pittsburgh lifer? Or are you new to the ‘Burgh? Either way, share your Saturday morning haunts and plans on Facebook and Twitter: #new2theburgh.